If you haven't picked up our first book yet, consider getting both great reference materials for one price. 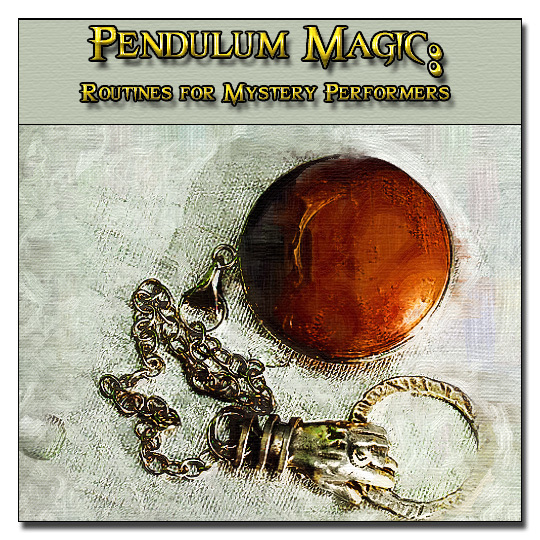 We will send you Pendulum Magic: A Guide For Mystery Performers AND Pendulum Magic: Routines for Mystery Performers. Everything you need to get started using pendulums to delight your audiences is here. You'll get thirteen wonderful routines direct from the performing repertoire of working pros, essays, instruction on how to use your pendulum and how to introduce pendulums to your audiences. Most importantly you'll get Master Classes from performers who use pendulums in the real world for real audiences. Reviews for "Pendulum Magic: Routines for Mystery Performers"
David Thiel's Magic Pendulum is a recent place in which we as performers and pendulum fans can dream, and see and buy wonderful pendulums. Now I will review his new eBook , his second offering with pendulum ideas. 64 page eBook, great design and writing style. You can see that the contributors and David did all this with passion and love. I'm complete biased when I talk about pendulums but I will do my best. 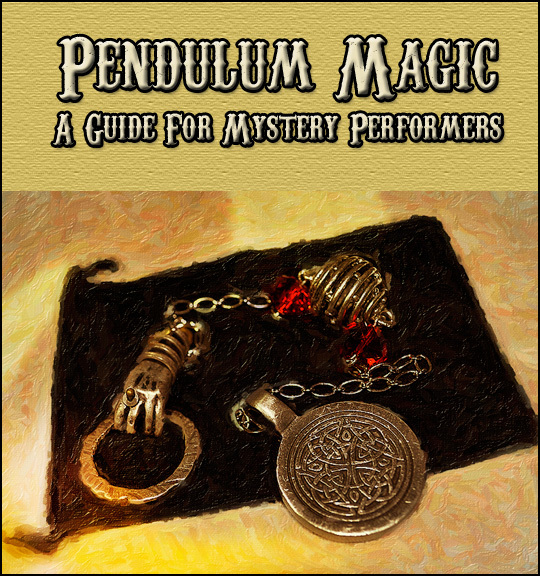 This eBook isn't for beginners in pendulum work. You have to have the basics and the confidence to do it. Why ? Because you will get SEVERAL pieces that worth the price alone. I will not review each of the effects because they are already described without any hype on David's site. New uses for pendulums, hands off pendulums, storytelling presentations and a lot more! Well done David! Highly under-priced document. 100% quality material from the brightest minds in our art.